Enter into a version of the world where humanity has been divided into Normals and Super-Normals: denizens of the planet with altered DNA that give them supernatural powers. 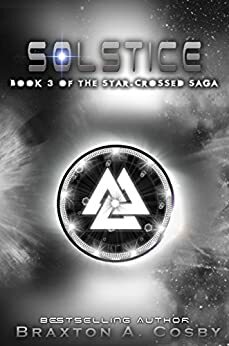 In this fifth installment in the Dark Spore series, Braxton A. Cosby takes the world he has developed in previous novels and expands on it further. The Cape: Overdrive revolves around Sebastian, millionaire nerd-boy, Karla, his speedy girlfriend, Lydia his cousin and a few other characters. This is a perfect young adult novel with just the right amount of action, suspense and personal drama. Watching as our friends move towards peace while pulling in other members of the Super-Normal line to help shows that even those with the most questionable backgrounds and personalities do better as friend, and not foe. Cosby has clearly honed his craft over five installments. He is very good at world building without flooding his audience with potentially redundant information. It’s clear that he knows there will be readers who come into a series part-way through and won’t have the background information that dedicated followers might have. 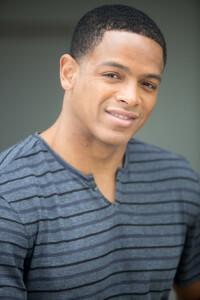 Cosby makes sure that he shares the stories he wants to tell in such a way that newcomers can pick up an installment and dive right in without feeling lost. That can be tough to do, but the beauty of writing a book with superheroes that resemble the ensembles of comic book heroes of the now, means that readers will expect to be missing some of the story when they pick up a random volume. That doesn’t mean the story is any less engaging and interesting: it just means that Cosby knows his audience and knows how to hook readers, no matter where in his world they enter from. This book is a young adult novel, but that doesn’t mean that adults can’t enjoy it either. It isn’t rife with the teenage angst that many YA novels can drown themselves in, which is nice for older audiences who are interested in the story. The characters are solid with definitive personalities and goals. The relationships are clearly defined and developed: nothing is left to chance and accidental interpretation. There is no confusion and that goes on to create a wonderful atmosphere for readers. Using the discord that is plaguing the world of Cosby’s stories as a reason for the characters to come together for the greater good is deployed nicely and doesn’t feel too contrived or unrealistic. 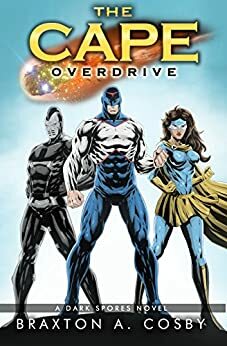 The Cape: Overdrive by Braxton A. Cosby is a wonderful young adult novel that is sure to appeal to lovers of superheroes, regardless of their age. The story is intriguing, compelling with strong characters and solid world-building. The action is just right, and the character development is wonderful. This is a book that was crafted carefully and slides into the series nicely. Even if readers are freshly coming into the series with this book, they will not feel lost or as though they are missing crucial information. This is definitely a great read and anyone who is willing to take on this book won’t be disappointed.